The UK government is aiming to reduce the UK’s greenhouse gas emissions by at least 80% (from the 1990 baseline) by 2050. As one-quarter of UK greenhouse gasses are emitted by transportation, it is vital that fleet operators focus on improving sustainability practices. Whilst there isn’t a universal solution to this problem for every fleet, these common practices are proven to reduce fuel waste, CO2 emissions and associated costs. Here are five ways your fleet can lessen its impact on the environment. • Does the driver need a large van, or would a smaller model suffice? • Is the engine size necessary and fit for purpose? • Is the vehicle’s age having a negative impact on its efficiency? • Could better asset utilization replace the need for another vehicle? Swapping out old vehicles for newer models can have a huge impact on emissions as manufacturers are constantly releasing new, more sustainable solutions. 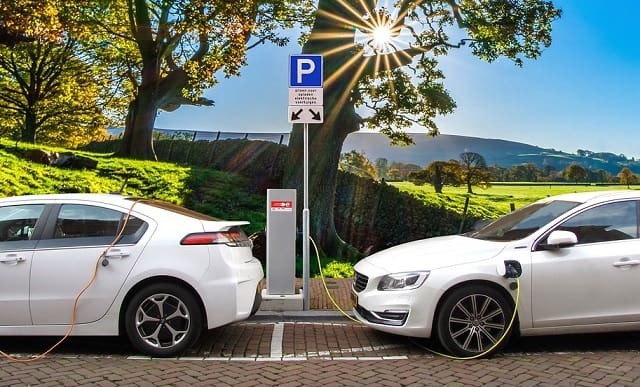 Hybrid vehicles have also become an attractive choice for green fleet leaders, as they are partially powered by electricity and emit far less harmful pollutants than traditional engines. Whilst opting for more fuel-efficient vehicles is a popular ‘quick-fix’ route to sustainability, it isn’t necessarily a long-term solution and may not be financially viable for many fleet operators. Regular servicing is not only proven to increase a vehicle’s lifespan but also helps prolong its efficiency. Essential maintenance checks on the company fleet engines, brakes, tires etc. will result in a far more fuel-efficient vehicle, saving your business money and improving annual emissions. Educate drivers Training employees about safe and eco-friendly driving can help your organisation take giant strides towards its sustainability goals. Reducing poor driving behaviors will all help reduce fuel consumption. New technologies, like Masternaut’s in-cab coaching device, have been specifically developed to help organisations improve best practice by providing drivers with instant feedback about dangerous maneuvers such as harsh braking, cornering and acceleration. Telematics devices and vehicle tracking software enable organisations to monitor fleet performance and driving behavior remotely. In addition to helping fleet managers make more informed decisions about mobile operations, the data produced by telematics can also be used to identify activities that have a negative impact on CO2 emissions such as unnecessary journeys, speeding and prolonged engine idling. Implementing the steps required to resolve these issues will, in turn, have a positive impact on fuel usage and CO2 emissions. Like any new initiative, it’s important to set goals and monitor the progress of both long- term and short-term targets. Setting key performance indicators around factors like fuel consumption (MPG) and driving behavior (idling, speeding, harsh braking etc.) is a great place to start when launching a sustainability plan. From here, you can come up with more refined and complex targets, that specifically focus on lowering emissions. I hope you enjoyed this article about ways to make your company fleet more green and reduce energy costs. Interested in more articles about getting your company going green?